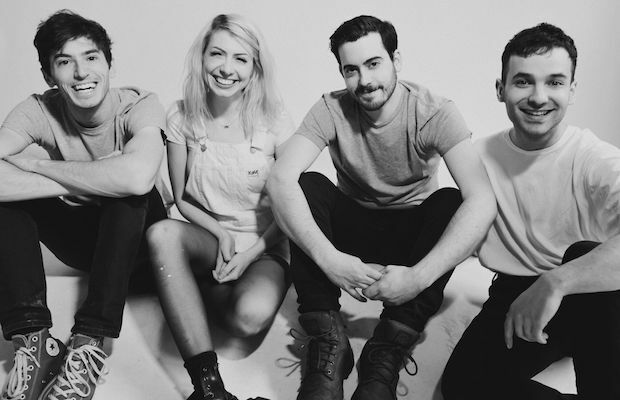 Charly Bliss Debut New Video for “Percolator” | See Them April 29 at The High Watt! Ahead of the April 21 release of their highly-anticipated debut full-length Guppy, and before their recently-announced April 29 headlining show at The High Watt, Brooklyn bubble-grunge outfit Charly Bliss have premiered a music video for their latest single, “Percolator.” Like their last track “Glitter,” the new tune feels more refined and self-aware, still hooking us in with the band’s unparalleled knack for crafting unabashedly poppy hooks coupled with earnest lyricism. The video feels well matched too, portraying the group as something of silly, real-life superheroes. You can watch “Percolator” below, and be sure to grab tickets to Charly Bliss’s return to Nashville right here!